Most businesses are born out of a sincere desire to better the lives of the actual people who will comprise its customers; the problem is, though, that the same level of concern that goes into selection of products or services is not carried into the planning process when it comes to the delivery method (how the products and services will be transferred from business to consumer, namely, the “customer experience”). What I mean is that they build a customer experience designed to fit the needs, experience and layout of the business, rather than the desires of the customers, then stand back and wonder why customers aren’t rushing to tell their friends about their experience or leaving 5-star reviews about their business online. Where they fall short in creating extra-ordinary customer experiences is a failure to realize that the starting point of the customer experience or the customer service provided by a business must originate with what the customer actually cares about or values, rather than expecting them to suddenly value or care about what the business has decided to sell, and the way in which they’ve determined to do it. 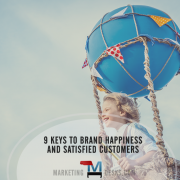 The products or services your business sells, regardless of the benefits they bring to buyers, can’t compensate and are not a substitute for a great customer experience. Likewise, exceptional customer service has little to do with what your business actually sells, and much more to do with how your business goes about selling it. If you build a customer experience that provides “extras” that customers don’t value, you are wasting resources. 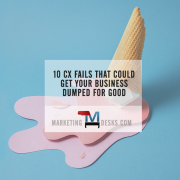 And if you build a customer experience that fulfills the needs of the organization (at the expense of what customers actually want from the companies they do business with) and then by way of a band-aid simply throw a couple of valuable “extras” consumers way you might stave off discontent but you’ll leave customers placated, not elated. But if you can design a customer experience that makes the convenience, well-being, engagement and even the entertainment of the customer a priority, you set your business up to actually provide the exceptional customer service most business owners don’t even understand. You lay the foundation for long-term customer loyalty and rampant word of mouth referrals. You set expectations in the customer’s mind about how great it is going to be for them to do business with you. You can’t expect customers to care about your business when the basic customer experience doesn’t demonstrate how much you care about them. And I know you do, because most small business owners start businesses out of a desire to serve people within their communities or fulfill basic human needs of some kind. Most business owners set out with a vision of the good that will occur in the world when their business successfully fulfills its mission. Put the same care for the customer that you utilized to choose which products and services to provide to clients into the overall client experience and watch your loyalty and referral rates rise!